With a stay at Holiday Inn Express and Suites Indianapolis W- Airport Area, you'll be centrally located in Indianapolis, within a 15-minute drive of Indianapolis Zoo and 8 Seconds Saloon. This hotel is 4.7 mi (7.5 km) from Indianapolis Motor Speedway and 5.7 mi (9.2 km) from Indiana Convention Center. Make yourself at home in one of the 94 air-conditioned rooms featuring refrigerators and microwaves. Complimentary wireless Internet access keeps you connected, and cable programming is available for your entertainment. Private bathrooms with shower/tub combinations feature complimentary toiletries and hair dryers. Conveniences include safes and desks, as well as phones with free local calls. Be sure to enjoy recreational amenities including an indoor pool and a 24-hour fitness center. 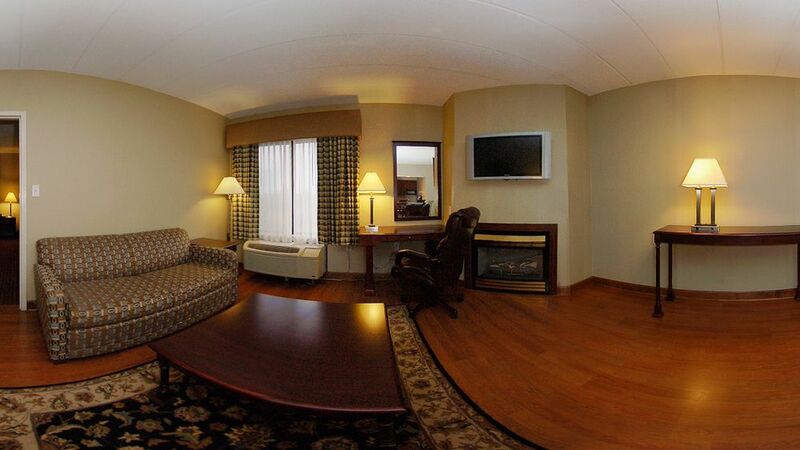 This hotel also features complimentary wireless Internet access and a fireplace in the lobby. Grab a bite from the grocery/convenience store serving guests of Holiday Inn Express and Suites Indianapolis W- Airport Area. A complimentary hot/cold buffet breakfast is served daily from 6:30 AM to 9:30 AM. Featured amenities include a 24-hour business center, express check-out, and complimentary newspapers in the lobby. Planning an event in Indianapolis? This hotel has facilities measuring 888 square feet (82 square meters), including a meeting room. A roundtrip airport shuttle is complimentary (available 24 hours).